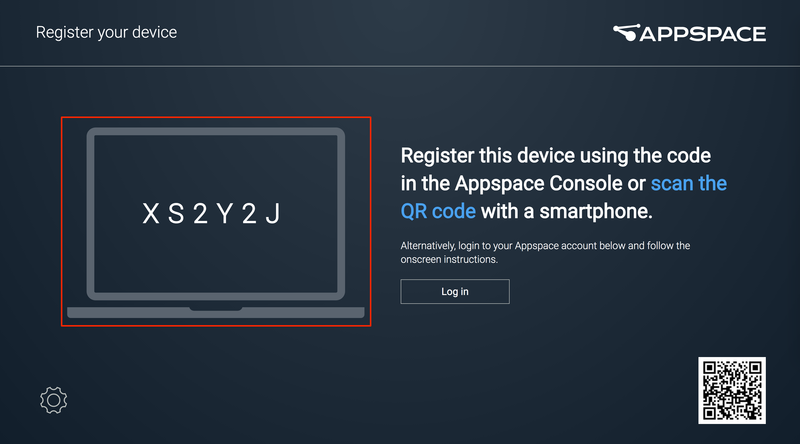 To view the content and channels that you create and publish, you must download and install the Appspace App on your preferred OS and device, register the device, and finally assign the channel to your device. This article provides the instructions to install the Appspace App and register your device. Not sure which device is compatible? Check out our Supported operating systems & devices page. Haven’t created your content? Create a card or pick a Quick Start article based on your output device. Required Network Administrator or Account Owner role in Appspace. Download the Appspace App and configure your device based on your device operating system (Android, iOS, Chrome OS, etc.). Please refer to Where do I download the Appspace App?. Launch the Appspace App. The device registration page will be displayed. Copy the 6-character registration code. Click the Quick Actions menu and select Register a Device. Go to the Device Registration widget on the Dashboard. Click the Appspace menu, select Devices, and click the Add button in the Devices tab. 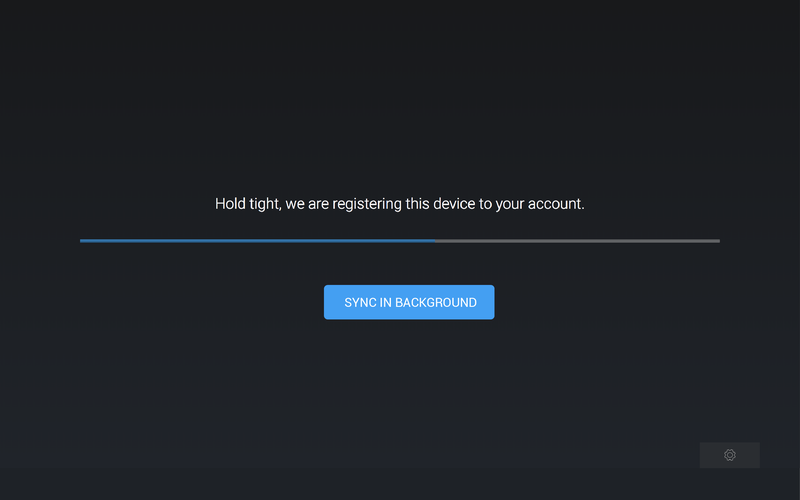 In the Register a New Device window, type-in the 6-character registration code, enter the device name, select a network, assign a channel, and click the Register button. To assign a channel here, you must have already published a channel prior to registration. However, you may also choose to leave the fields blank and assign a network and channel later from the Appspace console. Once registration and content syncing is complete, you can view your published channel(s) on the TV, tablet, or on a kiosk. 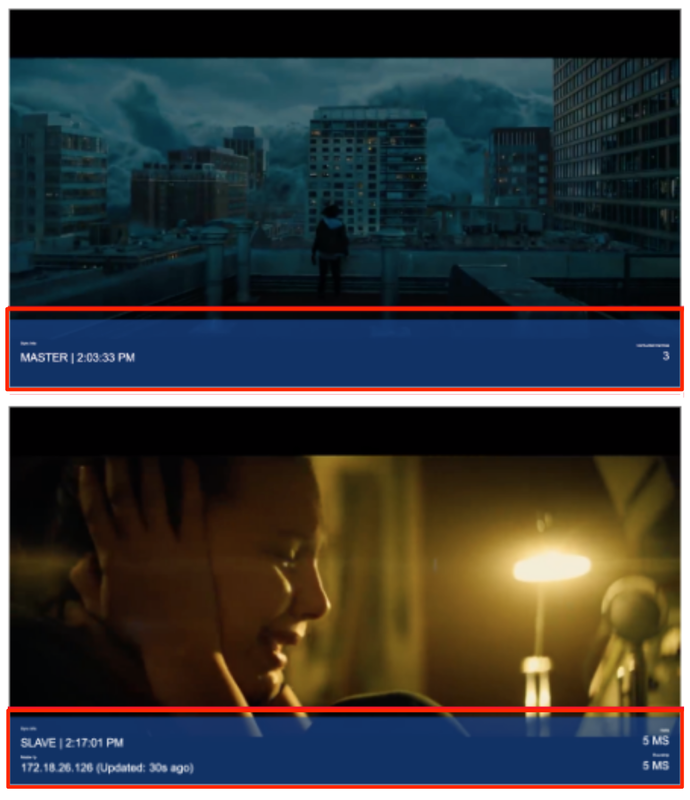 In Appspace App 1.35 and above, you have the option to sync content in the background, allowing Appspace App to immediately display your published channel(s) via streaming mode. Once the content syncing process is complete, the app restarts and displays content via local storage. To sync content in background, click the SYNC IN BACKGROUND button during the content syncing process. For more registration options check out the Advanced device registration article.